How fitting that while we were on the Superior Hiking Trail for our first ever family overnight backpacking trip, this arrived in the mail. 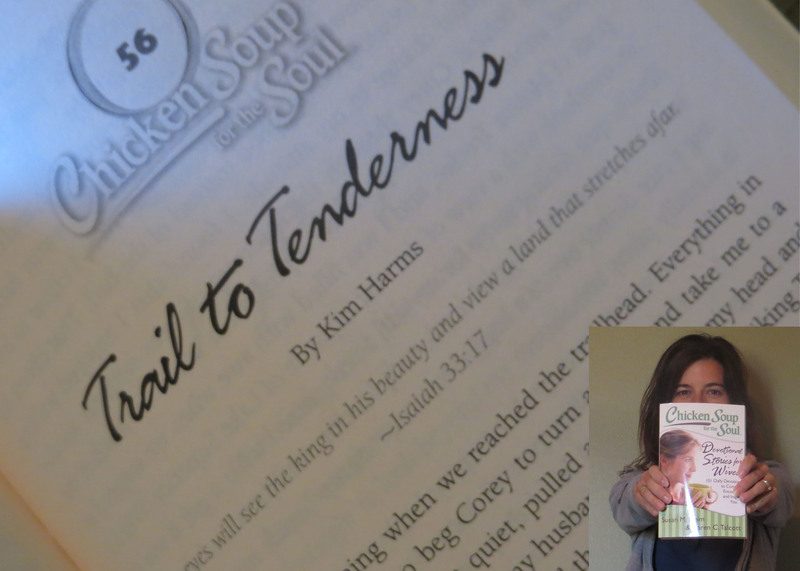 A box of Chicken Soup for the Soul: Devotional Stories for Women books with a devotional story I wrote based on my first ever backpacking trip with Corey, which also happened to be on the Superior Hiking Trail. I abandoned my comfort zone for that first trip and took part in one of Corey’s adventures. And I enjoyed it enough that I’ve since gone on three more similar trips. Let me know in the comments, or tell me something you would never be willing to leave your comfort zone to do. I’ll randomly pick one commenter to receive a free copy of the book. Second, since my marriage is multi-cultural (Korean/Brazilian wife) every event with her family is a mix of languages and cultural expectations, with occasional clashes. But my world has expanded exponentially from food — picture a farm boy from Iowa eating dried octopus in a spicy, fermented red sauce with chop sticks — to how I deal with disagreements. This has all produced a far deeper ability to empathize, not just sympathize, with others. You totally count Chad 😉 I’m not sure I could eat dried octopus for Corey’s sake. I don’t even like “normal” seafood! Moving to another country definitely beats spending a few nights on the trail with no bathroom! I’m so glad you guys are back in the US. I’m so glad we did that Chicago road trip together. And I have been so excited to see your writing career totally take off. I have Coupon Crazy on my list of books to read this fall. Ha!! No glitter in our house, but we have one who is a fan of making things out of duck tape, cardboard and yarn. Congratulations Kim. This is awesome and I am very happy for you. As for things I had done out-of-my comfort zone, I can’t remember anything I had done for the past 19 years that was in my comfort zone. About 7 years ago, I moved to a foreign country by myself, thousands of miles away from my family. For our well being! That is one of the reasons why yours story is going to be a book someday! You are an awesome sister/mother to your siblings. Always thinking about their needs above your own. PS – I’m really glad you moved to the US. I’m not sure that this really counts as going out of my comfort zone for “someone I love” (because it was very much for myself as well), but my very supportive, very loving boyfriend encouraged me to submit one of my writings to Chicken Soup for the Soul (as you did!). I was very nervous to do it (my confidence level in my writing was not the highest, mind you! ), but I swallowed my fear and clicked “submit.” I just received notice that I’m in the final selection round for my story to appear in the book that comes out in December, “The Dating Game.” I’m beyond excited and very honored to have my work recognized like that. It’s a dream come true! So, yay for stepping out of my comfort zone! And congrats to you as well for the same honor! That’s awesome for you! Sometimes those “out-of-your-comfort-zone” things are greatly rewarded. Hope you make the final cut!